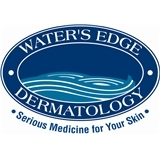 Waters Edge Dermatology (Lake Worth) - Book Appointment Online! In our office, we strive to deliver the best in medical and cosmetic care to our patients. For many years, our staff has provided personalized care and helped our patients regain confidence in themselves by treating dermatological conditions and giving them youthful-looking skin When you visit our office, you will find that the safety and comfort of our patients is of utmost importance. We have years of experience treating all types of skin diseases as well as providing cosmetic rejuvenation techniques. It was good she is pretty and did an amazing job. Great Dr! Took time with my daughter to explain the issue. Very good bedside manner. Everyone from the front desk staff to the doctor was absolutely amazing! It was great. Dr Forero is very nice and very thorough. She's caring.